For many years Rhino Linings has been used as a trafficable waterproof lining system in newly constructed modular buildings. Rhino Linings complies with AS3740 and is flexible and seamless. The benefits of lining the complete inside of these buildings are obvious, when there are no joins there are no leaks. 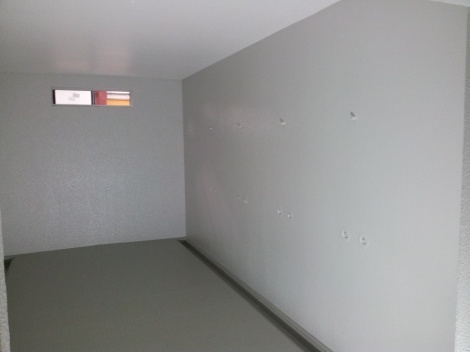 A slip resistant additive is added into the floor and the walls and ceiling are topcoated with lighter colours. These shower block projects are completed inside of 3 days and can be worked on by following trades within 12 hours of completion.